Hot dogs are a great easy weeknight dinner, so it’s no wonder you’ve probably got a few packs stored in your fridge. 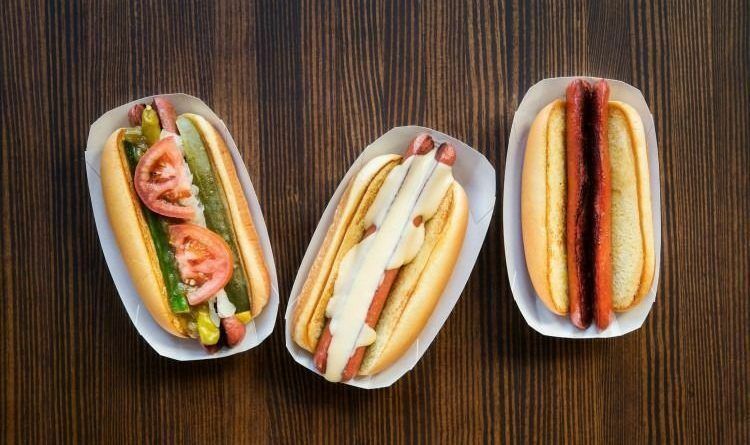 But, if you’ve bought hot dogs recently, you’re going to need to check the packaging because more than 200,000 pounds worth of hot dogs is being recalled. John Morrell & Co. notified the federal government of the issue on Friday, affecting 210,606 pounds of ready-to-eat hot dog products. The company did not say how the franks may have been contaminated with metal. The New York Post notes the recall comes in advance of the Nathan’s Famous Hot Dog Eating contest in Coney Island on the 4th of July. Consumers who have purchased the affected products are urged to throw them away or return them to the place of purchase. Memorial Day weekend is the perfect time to fire up the grill, but make sure you’re safe while doing it. From making sure you’re using hot dogs that are fit for eating to keeping the grill at least 10 feet from the house, there’s a whole list of safety precautions to keep in mind to make sure your summer barbecues run smoothly. Share this everywhere so that more people can see this!